1. Start in a really nice place (Peshawar in Pakistan, or Kabul). These may not seem nice places, in fact if you compare them with Perth, London, or more or less anywhere else, but they are, compared with what's coming. 3. Then move to a worse place (Maimana). A place where there is no heating, no electricity. The toilet paper is actually 80 grit sandpaper and smooths your bum to a fine finish. You flush the toilet with a bucket. You have to put the used toilet paper in a little bin, because otherwise it blocks the pipes, every few days you take this little bin of pooey paper out and burn it... You shower in a bucket. You can only get meat in chunks at the bazaar, because the butchers don't grind meat in Maimana. Sometime the meat is camel (not good). etc, etc. 4. Keep this pattern up of moving to a worse place and visiting the slightly less worse places. They seem so good! 5. When you are about to commit homicide, reverse motion and start moving to nicer places. You could visit the grungy places again, just to remind yourself what you are leaving behind, but no real need to. Just enjoy the warmth, the varied diet, the no-camel, the light, chicken dishes, real pasta, etc etc. 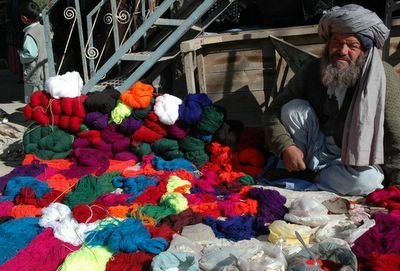 Walking to work, I spotted an old man selling wool..beautiful and magical colours and an old man's smile. 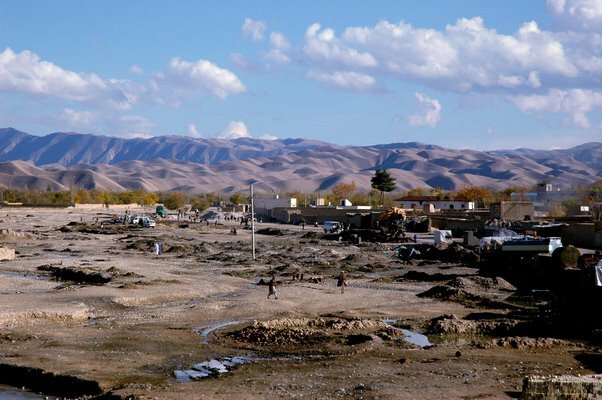 I don't think anybody really gives a rat’s fart for the work we are doing in Maimana, and probably internationally, these days, most players wouldn’t give much more for Afghanistan. I think the writing is on the wall and it reads something like ‘Afghanistan? Who cares?’. It is sad for me to feel so cynical about this country I have loved, but I think I have earned the right to feel thus. And more than that, I think it is justified. 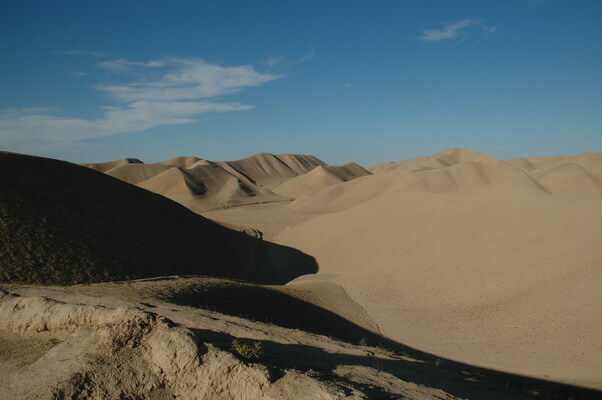 There is very little real political will being shown to resolve the problems this country faces and I suspect that the decision has been made somewhere, in a place we will never know, by men we will never see, that Afghanistan no longer poses a threat, and that no effort needs be made to develop it as a nation. It serves global interests to keep some countries at the bottom of the heap, that is how capitalism works after all. And Afghanistan is pretty close to the bottom, and as the gods of finance and power have decided, so be it. I see this at a macro and a micro level. In a conversation with my line manager today I again expressed my frustrations about lack of resources being put into this province. No resources, no results. His response, ‘Let’s talk later.’ Other UN agencies feel the same. The Head of UNHCR here tells a story, about advisors and senior staff coming for a 10 day trip here, which is a good amount of time, and after one day they start enquiring about when the next flight out is. 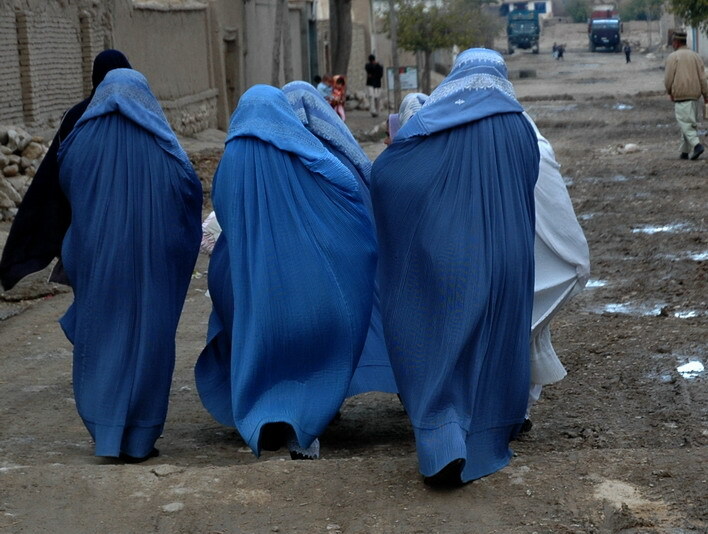 There are UN staff in Kabul who don't know where Maimana is. I suspect they think it is in another country, that we are from another mission. I suggest to the heads of agencies that we stop working completely, see how long it takes Kabul to notice. ‘What makes you think they would notice?’ is the reply. There is a saying in Bosnia, ‘The trucks are passing and the dogs are barking.’ Exactly. The trucks are still passing. The barking of the dogs makes no difference. 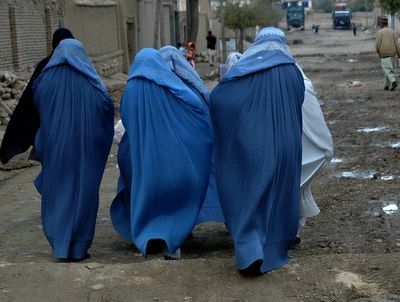 So we are leaving Afghanistan. In a few weeks, we will be back in Perth, for a good long while. Mixed feelings accompany this move. Relief, delight, regret, sorrow. It is more than four years we have spent in this country and it is hard to imagine our life without Afghanistan in it. But it is time to do so. Julie was walking to a friends when she got scooped up by several women. Just had a short break in Delhi, India to visit roots and reflect on the last ten years. 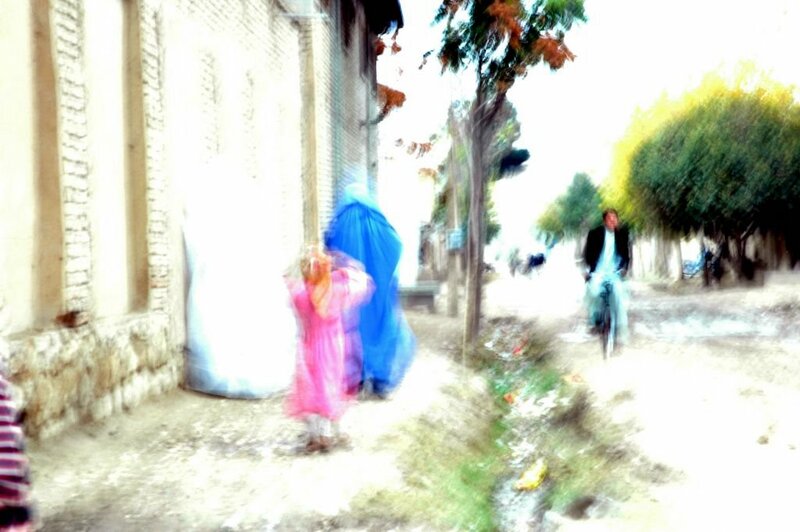 Bought a new camera while there, see below for what I think to be a terrific shot of a woman in a burqa, her daughter and a man on a bike on the street outside our house. India was good. We still have friends there from years back, when Julie and I first worked there in 96, after my studies there in 94. 1994 was when I met Greg, a Queenslander. He was working with the organisations we later joined and it was his lifestyle and commitment that was so influential to me at that time. Greg and his wife and now, three kids, are still there, same orientation though their lifestyle has changed somewhat. One thing I did realise (other reflections later) was how hard the last 10 years have been for Julie and I. We have lived in about 13 different houses during this time (doesnt count durations of less than 1 month), in 4 countries, plus visiting countless other places and countries during this time. Our daughter nearly died in childbirth, we were evacuated from Afghanistan, losing everything we had here, saw our work and life terminated. We have been sick, shot at, beaten and sick, again, more times than you can count. Plus all the rest of it. So reflecting on that helped me realise its no wonder I have been treating God with suspicion, and that he and I are estranged. But maybe that is changing.